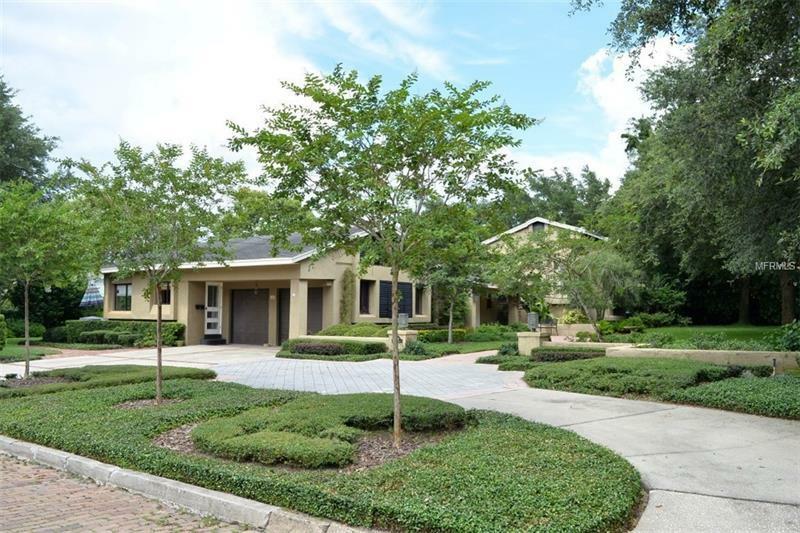 Charming Home Close to Downtown Winter Park with a Large Living Room which was once an "Art Room" and across from it the Piano Room Plus A Family Room! Perfectly Renovated Kitchen with Gas Stove...Large Bedrooms with the Master and 2nd Bedrooms on the First Floor with Personal Baths and Large Closets...The 3rd Bedroom is on the 2nd Floor with Bath, Closet and Large Storage Room...And a Balcony! The Land is Beautiful! It's 160x130....48% of an Acre!....Tremendous in a Wonderful Location. Ready for Moving in .....Updating...Renovating or Rebuilding!